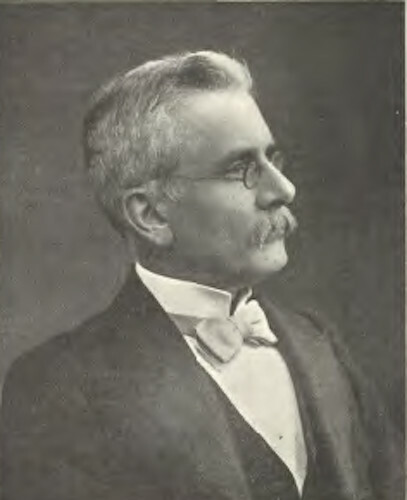 Edward Monson (1847-1935) was born in Ipswich and trained in the office of his father, also named Edward Monson, who was a member of the Institution of Civil Engineers, mentioned in the Times of 5 February 1866 as surveyor and superintendent of Halstead Local Board of Health (5), also described by Ian Hunt as "an engineer for the railways," and (according to the British Library catalogue) the author of several books about the metropolitan sewage disposal problem. 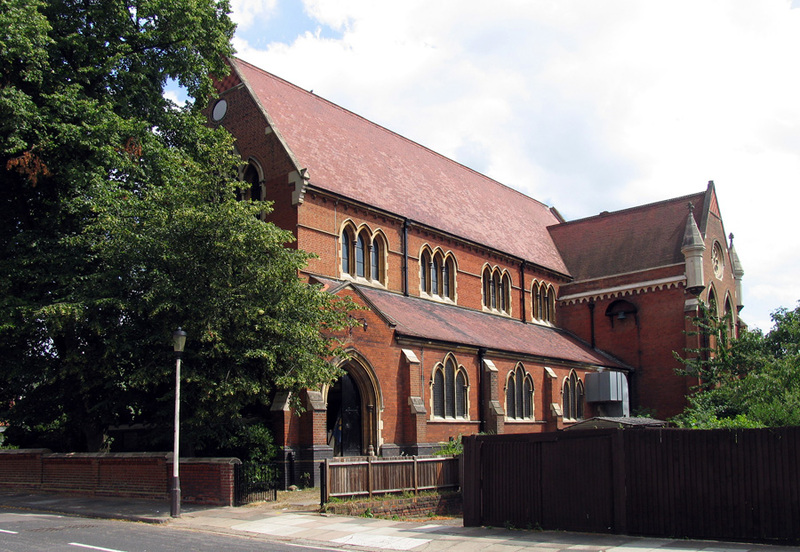 The younger Monson rose from being Assistant Surveyor to the Acton Local Board in London in 1866 to becoming Diocesan Surveyor to the Bishop of London, having set up an independent practice in 1870. He was also architect to the Acton School Board 1875-1904, and a J.P. He retired in 1915 (see Brodie 199). Edward was initiated in Villiers Lodge No. 1194, Twickenham in 1874 and was Master of this lodge in 1886. He was a founder of two other lodges: Priory Lodge of Acton No. 1996 in 1883 (Master in 1888) and Vincent Lodge No. 3031, London in 1904. He was also a Royal Ach freemason - exalted in Earl of Carnarvon Chapter No. 1642 in 1882 and was a founder of Vincent Chapter No. 3031 in 1908. He held the rank of Provincial Grand Superintendent of Works in the masonic Province of Middlesex. In the United Grand Lodge of England he was Assistant Grand Superintendent of Works in 1907; Grand Superintendent of Works in 1922 and Past Junior Grand Deacon in 1935. In the Supreme Grand Chapter (governing body of the Royal Arch degree) he was a Past Assistant Grand Director of Ceremonies (1907); Past Grand Standard Bearer (1922) and Past Assistant Grand Sojourner (1935).... Grand Superintendents of Works are usually architects (Sir John Soane was the first one on 1813) and they usually have a role in maintaining or supervising building at the Freemasons' Hall. Brodie, Antonia. Directory of British Architects 1834-1914. Vol. II (L-Z). London: Continuum / RIBA, 2001. Hunt, Ian. "Planning Application Public Comment." 11 December 2015. Web, 26 June 2017. Monson, E. Sewage no value. The Sewage difficulty exploded, etc. London: (no publisher given), 1874. "New Grand Officers." The Freemason. 18 May 1907: 722. The scan of this article, with the photograph of Monson, and details about his Freemasonry activities, were all kindly contributed by the Library and Museum of Freemasonry, London. The Times Digital Archive. Web. 26 June 2017.